N-Acetyl Cysteine (or NAC) is a more stable form of the amino acid L-Cysteine. 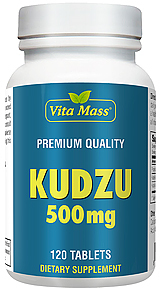 As a precursor to L-Cysteine, NAC and helps the body synthesize Glutathione. NAC possesses antioxidant properties that may help fight cell-damaging free radicals. Studies have shown that oxidative stress caused by free radicals may contribute to premature aging of cells. L-Cysteine is a conditionally sensitive, sulfur bearing, amino acid present in protein. It is conditionally essential because it can be made endogenously in sufficient quantities under normal circumstances, but it may have to be exogenously supplemented if physical demands on the body (from physical exercise to stress) become too great. L-Cysteine performs a number of functions in the body. It is used to manufacture L-taurine and L-glutathione. Taurine is important because it plays a key role in central nervous system function. Taurine also helps to regulate blood pressure, helps maintain good vision and eye function, and aides in thermogenesis (fat burning) and muscle building. Glutathione is critical for immune system function because it is a powerful antioxidant that ensures healthy cellular function and nerve signal efficiency. While direct glutathione supplementation has proven ineffective at increasing cellular glutathione levels, L-Cysteine levels has proven effective for this purpose. L-Cysteine supplementation elevates NAC - N-acetyl cysteine (C3H7NO2S). NAC is known to increase blood glutathione levels and preserve lean muscle mass. Therefore, the antioxidative and glutathione elevating effects of L-Cysteine are attributed to its ability to raise NAC levels. L-Cysteine is essential for T-cell production and immune system activation. L-Cysteine is also a component of human hair and is a component of the hormone insulin. L-Cysteine can also be converted into glucose (for energy production) when blood glucose levels are low and this conversion may enhance athletic endurance and prevent muscle catabolism. The gastrointestinal system may also benefit from L-cysteine. Aspirin® and other drugs may stress the digestive system and stomach, and L-Cysteine may protect against these side-effects by strengthening stomach lining. L-Cysteine supplementation may be most effective when used in conjunction with vitamin E, vitamin C, vitamin B6 and calcium and selenium. Physical training is known to increase oxidative stress, and this may lead to immune suppression. L-Cysteine can help speed recovery, and support health. Its role as a taurine precursor can also assist in lean muscle tissue gain and thermogenesis. Persons with compromised immune function (the young, the elderly and people exposed to pollutants) can benefit from L-Cysteine supplementation due to its immuno-protective and antioxidative effects. L-Cysteine can enhance immune system function and maintain optimal health.